Two decades ago, few Americans were familiar with hummus; now it's at many Super Bowl parties. Sabra has introduced singles for individual snacking. While the term "ethnic flavors" has long since ceased to bring merely Mexican, Italian and Chinese foods to mind, this mushrooming category has begun to encompass much more than the tastes of other exotic cultures. Processors are finding that consumers are not just demanding Thai, Middle Eastern and Brazilian items — they're demanding healthy Thai, Middle Eastern, Brazilian, etc. "Consumers are looking for healthy and flavorful foods and are truly eager to expand their culinary horizons," says, Nicole Hofmann, brand manager at Sabra Dipping Co., Queens, N.Y. "We just conducted a national Taste Intervention promotion and sought out people who felt they were in a ‘food rut.' The entries poured in, with thousands of people indicating a desire to bring more authentic, interesting and great-tasting foods into their lives." But Hoffman notes convenience is now an important factor in creating and marketing ethnic cuisine. "We provide variety in terms of flavors and also in terms of packaging, so that people can serve their favorite hummus to friends and family, add it to their recipes or enjoy it as a snack at home or on the go." Annie Chun's, a San Rafael, Calif.-based Pan-Asian food marketer with emphasis on Korean (and one of our R&D Teams of the Year), provides Americans with authentic Asian flavors geared toward the newly sophisticated American palate that also demands health. The focus at Annie Chun's is to present healthy choices to meet a variety of dietary needs. For example, the company offers vegetarian, gluten-free and organic options. Most recently, Annie Chun's launched Brown Rice Noodles. "This new addition fits into the modern lifestyle in which consumers with limited time for creative cooking, still desire healthy and all-around good food," says Diana Wang, director of marketing for Annie Chun's. The company's goal, she says, is simplicity of ingredients yet authentic flavorings. "Adding flavor into your everyday meals doesn't have to entail additional work and a long list of ingredients," she continues. "Instead, you can improve your menu with simple mealtime solutions and snacks that bring Asian flavors into a busy American day." Flavors such as roasted sesame oil, ginger and scallions carry the Asian message without being overly exotic. Also, twists on basics, such as the company's new Brown Rice Noodle dishes, are made with 100-percent whole grains and available in Pad Thai and Maifun styles. Serving this demand for more interesting ethnic foods requires processors and ingredient suppliers to be a combination of world travelers, ethnobotanists and crystal ball gazers. "Consumers today are increasingly interested in a wider variety of flavor profiles and are sampling different ethnic cuisines," says Gitti Crowley, vice president of Tribe Mediterranean Foods Inc., Taunton, Mass. "But we also consistently hear from people who are looking for easy meal and snack solutions to fit into their busy, active lifestyles. And, they also are looking for foods that are healthy and delicious, with on-the-go choices to provide positive nutrition without sacrificing taste." The company meets all three by manufacturing a line of all-natural hummus made from a few simple ingredients and without artificial flavors or preservatives. Flavors include Tribe Origins Spicy Red Pepper, Tribe Classic Calamata, and Tribe Classic Roasted Eggplant. The company also has a special "Forty Spices" flavor to appeal to the more extreme ethnic seekers and notes the flavor has become one of its best sellers. As enticing as the flavors of ethnic foods is the passion brought to their creation, from ingredients to final production. "In the early 1990s, we noticed the emergence of three megatrends in the American grocery industry: health and wellness foods, convenience foods and specialty foods," says Meera Vasudevan, executive vice president of Stamford, Conn.-based Preferred Brands International. The company hit on all three trends when it introduced Tasty Bite ready-to-eat foods in the Indian and Asian categories, including entrées, flavored rices, spiced legumes and cooking sauces. Vasudevan says an increasing number of Americans were traveling internationally in the 1990s, while newer immigrants were settling in America and bringing their cuisine influences with them. This meant more international-style restaurants opened, educating consumers on trendy new cuisines. Riding the coattails of the natural foods trend, these ethnic items were perceived as more healthful. This was true, in a way, because of the heavy use of non-animal protein sources such as soy, lentils and beans, as well as whole grains, spices and multiple vegetable varieties within single recipes. "It made sense for us to leverage these three megatrends and launch a concept like Tasty Bite," says Vasudevan. "Our brand sits in the ‘sweet spot' in the middle of all three. It is all-natural, the food needs only to be heated in a microwave for 90 seconds and served." Another contributor to the perception of health in ethnic foods is their use of spices that have long histories of nutraceutical properties in other cultures. 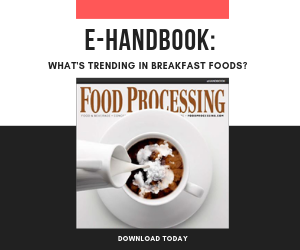 The association of ethnic foods and beverages with other hot-button trends, such as health, fair-trade, sustainability and organics, provides opportunity for informed marketers. But another to consider – as both a caution and an opportunity – is food allergies. "We have products that suit consumers with various allergies, whether it is to nuts or dairy or gluten," says Meera Vasudevan of Preferred Brands International. "Our packaging clearly states the allergens, our website provides an easy to follow grid for consumers to select what suits their health needs. We get a fair amount of interest and attention from celiac associations and we also partner with some of them to help their members gain more food choices for a gluten-free lifestyle." Woodland Foods, Gurnee, Ill., is under constant pressure to stay ahead of the trends while keeping such high-overhead ingredients as Himalayan red rice or chili threads fresh and in stock. The company stocks more than 1,000 dry natural ingredients that come from more than 50 countries. "Each ingredient has a story, from its history, health benefit and nutritional value to its uses," says Aram Karapetian, national account manager and chef for the company. "Offering such a diverse array of gourmet and staple ingredients from so many ethnic culinary traditions allows us to act as a resource to the food processing industry." Karapetian points out that all Woodland Foods staff members are equipped with the knowledge and resources to aid and educate their customers. "Key ethnic ingredients include mushrooms, chilies, beans, rice, grain, fruit, nuts and spices," Karapetian adds. He also sees exotic grains trending sharply up. "Our sales in quinoa are now at about 250,000 lb. per year and rapidly increasing." Exotic fruits and vegetables also play key roles in Asian flavor trends. "Chinese has always been the most well-known and definitely still has the largest piece of the popularity pie," says Robert Schueller, director of communications at Melissa's World Variety Produce, Los Angeles. "But Japanese continues to make gains, as are Thai, Korean and Indian." Schueller notes such retail ingredients as won ton and egg roll wrappers are hot sellers. So are kimchee (Korean spicy pickled cabbage), noodles (he mentions Yakisoba and Udon noodles especially), and dried Asian mushrooms, such as oyster and shiitake varieties. "Such essential staples increased in popularity by double digits just in the last year," he says. Among trendy fruits, Schueller notes Korean pears and Korean mandarins and Indian mangoes (Alphonso and Kesar varieties). Key ingredients remain Indian turmeric and curry, lemon grass, Thai chilies, Thai eggplant and galangal. Thai/Malaysian fruits are getting hot, says Schueller, pointing to sales growth of dragon fruit and mangosteen. "Dragon fruit sales have increased by more than double in just the last two years. And the same is true for the Korean pears. Korean mandarins are going to be big this year," he predicts. Just think of the pioneering processors and importers who bought up shiploads of cupuaçu or those tart red and purple South American fruits açai and maqui berry a decade or so ago. They're counting their money now. Processors can face some technological challenges when seeking to create formulations using exotic or unfamiliar ingredients or flavors. Ingredient companies that specialize in the field recognize this and often can help beyond simply supplying the tangible materials. "Knowing how exotic ethnic ingredients perform when processed allows us to handle them so the final product fits the customer's vision as closely as possible," says Paul Suhre, Woodland's vice president of product strategy. "Woodland Foods works with its customers to simplify processing, creating ingredients and ingredient mixes to custom specifications." Technical challenges often dovetail with issues of safety when dealing with imported exotics, too. "Industrial food processors are able to easily approve our ingredients for use because of our regimented Quality Assurance program, as well as our highly trained, experienced QA personnel," Suhre continues. "We carefully vet our suppliers and adhere to industry best practices. We provide all primary regulatory documents for each of our ingredients. Product is carefully handled to ensure safety. Steps may include metal detection, gravity separation, air classification, de-stoning, sieving, magnets, heat treatment and conveyor inspection." Most ingredients are kosher approved and the facility is Organic- and HACCP-certified, and Gold Rated by Silliker Inc.
"Corporate chefs use our catalog of products as a painter would a palette of colors," adds Karapetian. "R&D departments use our offerings to fine-tune their recipes in keeping with their chefs' visions, while addressing cost efficiency, market appeal and appropriateness in production capabilities. Purchasing teams find great value in being able to procure many difficult-to-find ingredients from one established source." The future for ethnic flavoring trends bodes well as access increases and familiarity broadens. "Consumers no longer have to reach far and wide for flavors from faraway lands," says Pamela Marcus, market and consumer insights lead for FONA International, Geneva, Ill. "Some of the flavors on the more novel end of the radar, which we are spotting in specialty consumer products such as jams, seasonings, sauces, functional beverages and bars are: baobab, sea buckthorn, cupuaçu, maqui berry, berbere and harissa." FONA provides a full range of both ingredients and expertise for processors wanting to create home-grown flavors with ethnic roots. "Working with exotic flavors can be challenging — ideally we look to keep true to the authenticity and heritage of the region, while creating balance and mainstream appeal," says Adam Schowalter, senior food technologist at FONA. FONA, too, provides technical know-how, as well. "Exotic spices and ingredients can cause obstacles for the product developer — this is why flavors are the ultimate go-to solution. Flavors provide consistent results and, ultimately, cost control. Providing our customers with new opportunities such as exotic profiles as well as flavors that pair well with them, we're able to assist in the challenges of working with novel ingredients." The company stages a series of flavor classes each year, allowing clients and other processing innovators to brush up on the nuts and bolts of ingredient technology as well as the trends in sweet and savory flavors, both ethnic and mainstream.